Hello and welcome to iScreenVan.co.uk. Your local Apple iPhone screen repair and iPad repair specialist. We are a mobile based service meaning we can drive to you and replace your phone screen repair at your home or work in any town within a 10 mile radius of Farnham and Guildford. Apple iPhone 7 screen repair typically takes up to 15 minutes. 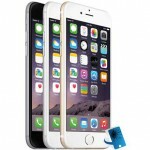 All versions of iPhone 5 and 6 screen repair take between 10 and 15 minutes. 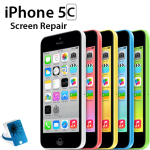 iScreenVan strives to deliver the best quality iPhone screen repairs at the lowest price with the fastest turnaround. We can repair or replace rear iPhone glass and metal frames, volume controls, speakers, cameras and connector faults depending on device and stock availability. Have you tied everywhere else to find iPhone 7 screens? Yet again we are the first non-Apple organisation in the County to offer the latest generation screens. 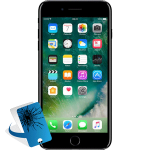 You can book your iPhone 7 screen repair online today by following this link iPhone 7 screen repair. 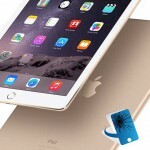 Apple iPad 2,3,4,5 (iPad Air) can be collected, repaired and returned to you on a 24 hour or same day service. Other iPad repairs may be completed on request. We offer a warranty on all repairs but the length of the warranty is dependant on the type of screen used. We offer a 120 warranty on Apple genuine LCD screens and a 60 day warranty for the non-genuine LCD screen repairs. 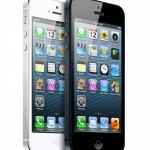 Please read for more information on our iPhone screen warranty information page. Book online today for an online booking discount by selecting your required screen repair service from the boxes above and then simply select a date at the bottom of the product page, you can even select today – you can then select a time and your address information. Alternatively you can give us a call on the number above to arrange a visit by one of our professional iPhone and iPad repair specialists. Almost all iPhone and iPad parts are in stock. 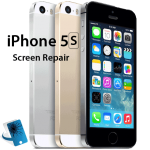 iPhone Screen Repair for Farnham, Guildford, Woking, Weybridge, Cobham, Godalming, Aldershot, Farnborough and Surrounding areas. Richard Firth from Absolute Radio Tweets about us. Cracked phone sorted. Went with http://t.co/TPcifIxm1m in the end. Was like watching open heart surgery on a phone in my lounge.